Do you include test codeunits with your BC extensions? Comment on Do you include test codeunits with your BC extensions? Thanx for the post, Erik. I'll be there. Couldn't agree more. NTD is "the conference" for NAV developers and techies. Come and say hi then, David Singleton and I have a session there this year. 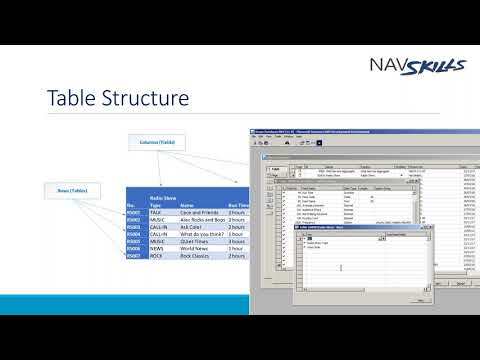 In this session David Singleton explains Fields, Keys and SIFT for Microsoft Dynamics NAV. 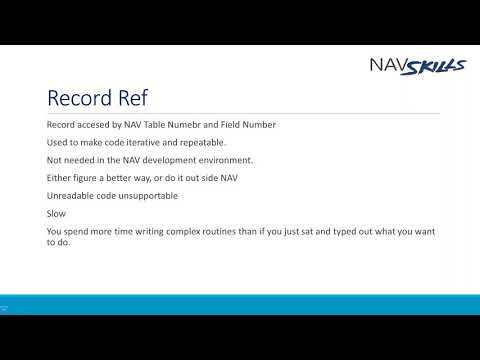 In this NAVSkills webinar David Singleton explains the basics of working with Fields in Dynamics NAV. RE: XML Ports a bit useless in the real world? I used NAV development environment to upload my license and noticed this table was automatically created. Then after I created myself as a user, I could open NAV now. I cannot say why it has become slower. But the copy function has always been something you should avoid, from a performance perspective. Or at least avoid when we talk about so many records. RE: Is it possible on the sell-to customer sales history to actually show last year’s sales total? Use customer ledger entry table and filter on posting date of last year and you could get the sales history. just use Item Charge for this. It does exactly what you want to achieve! Yes, but where did you add the code? You start by asking which codeunit is being used to transfer the fields, but you write that you have already written this code. Yes, that was part of my point. I was trying to be subtle about it, hahahaha. But yes, brand yourself, brand your company, brand your product.